The Secret Service said Wednesday that they are looking into New Hampshire State Senator Al Baldasaro after he called for Hillary Clinton's execution for "treason." 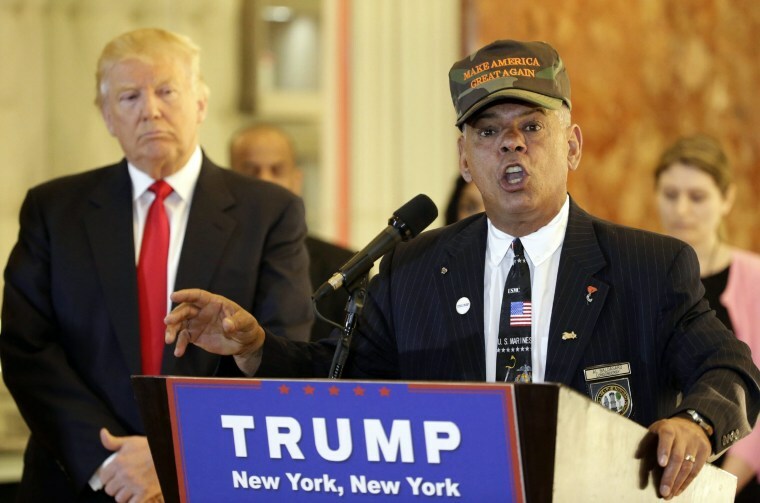 Baldasaro is an adviser to the Trump campaign for veteran's issues and has appeared at Trump campaign events. He called for Clinton's execution by firing squad for her use of a private email server when she was secretary of state. "The U.S. Secret Service is aware of this matter and will conduct the appropriate investigation," Secret Service spokesman Robert Hoback told NBC News in a statement Wednesday. Baldasaro first made the comments on the Jeff Kuhner radio show Tuesday, and stood by his words when confronted. Trump campaign aide Hope Hicks told NBC News "of course Mr. Trump does not feel this way" when asked to respond to Baldasaro's comments. The violent rhetoric towards the presumptive Democratic nominee has escalated this week, particularly at the Republican National Convention where political figures are calling for her punishment — ranging from spankings to public hangings. Kristin Donnelly joined NBC’s White House unit in 2014 and was thrilled to move to Washington to cover politics and the White House full-time. She was previously the senior producer for MSNBC’s “Jansing & Co.” where she oversaw coverage of news and politics. Prior to working at 30 Rock in New York, Kristin spent eight years as a reporter in local news in Buffalo, Syracuse, and Watertown, NY.